“We are asking the community to come to the Thelma Hulbert Gallery anytime between 11am and 3pm on Wednesday 17 and Thursday 18 February to make piece of woolwork. Anyone can take part and all ages are invited. I saw a yarn-bombed Memory Tree in Stratford-Upon-Avon last year and really wanted to bring the idea to Honiton. With the help of both the Thelma Hulbert Gallery and the Dementia Friendly Steering Group this is going to happen and I'm really delighted. 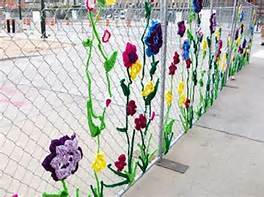 The results of the yarn-bombing project will be unveiled on Thursday 5 May at THG.